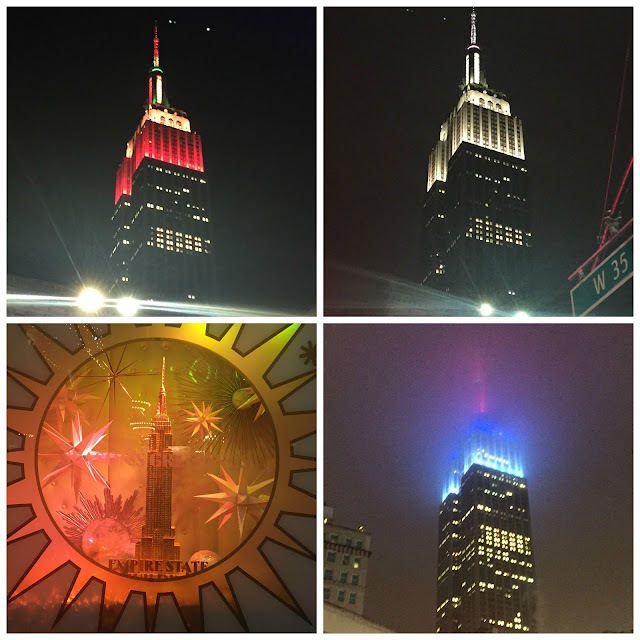 Even though I have been home now for two weeks, I'm only just getting a chance to sit down and tell you all about my recent trip to NYC. Since I got home, I was knocked sideways with a headcold and then I had to catch up at work so I'm really only getting a chance to sit down and collate my thoughts now. It has been a lifelong ambition of mine to spend a Thanksgiving in New York City- I think it stems back to my first time watching my all time favourite movie ever, Home Alone 2. 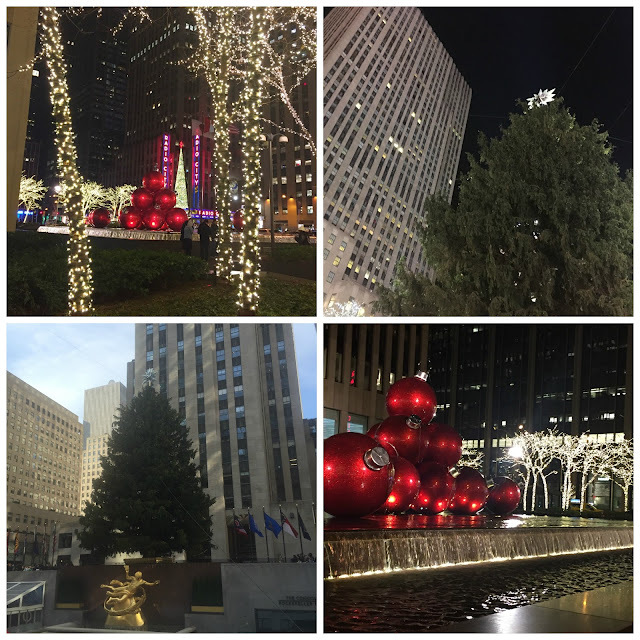 I would never leave my family home for Christmas so to spend Thanksgiving in New York was like two Christmases to me! And my boyfriend and I had such an amazing time that I honestly don't know why we didn't go sooner- but there is no doubt that we will go back again. 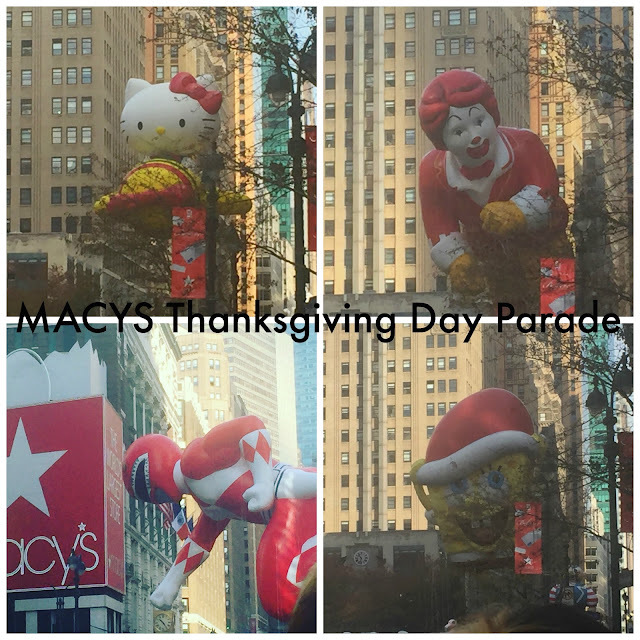 The particular highlights of the trip include the Macys Thanksgiving Day Parade. Our hotel was ideally located as we were only 2 blocks away from Macys so we were able to watch the giant balloons float down 6th Avenue and turn on 34th Street. The weather was glorious for late November and the atmosphere was amazing also. I was actually too busy admiring the balloons that I forgot to take pictures of many of the floats but the picture above gives you a taster! 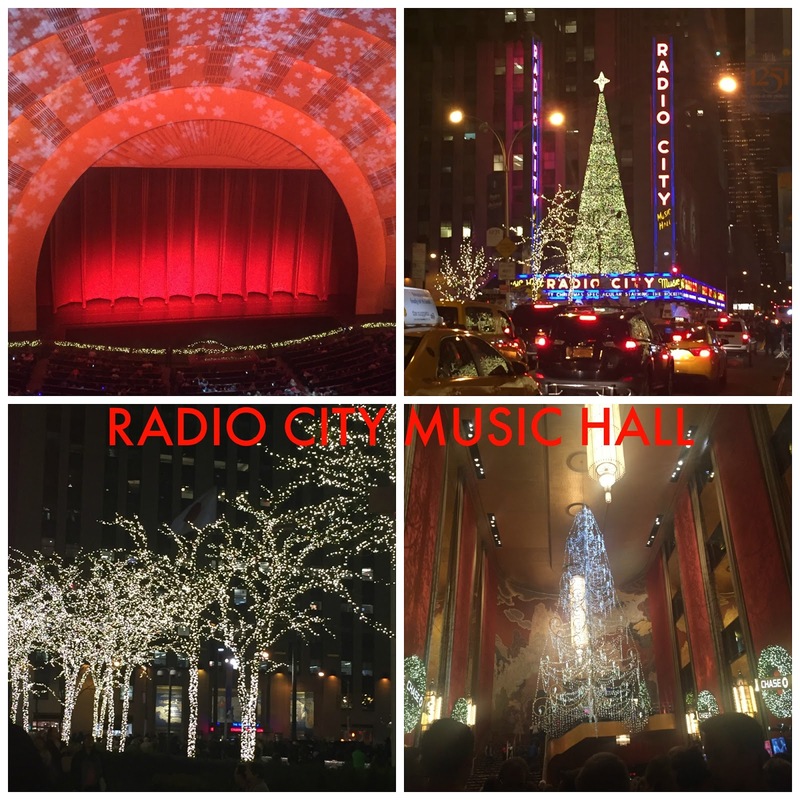 Every part of New York City was blitzed up for the holiday season but one of my favourite areas was in and around the Rockefeller Center and Radio City Music Hall. I finally clapped eyes on the famous skating rink (though I did not partake because I have zero balance) and the Rockefeller tree. There were millions of fairy lights (no such thing as too many)- honestly they put the Grafton Street lights to shame! 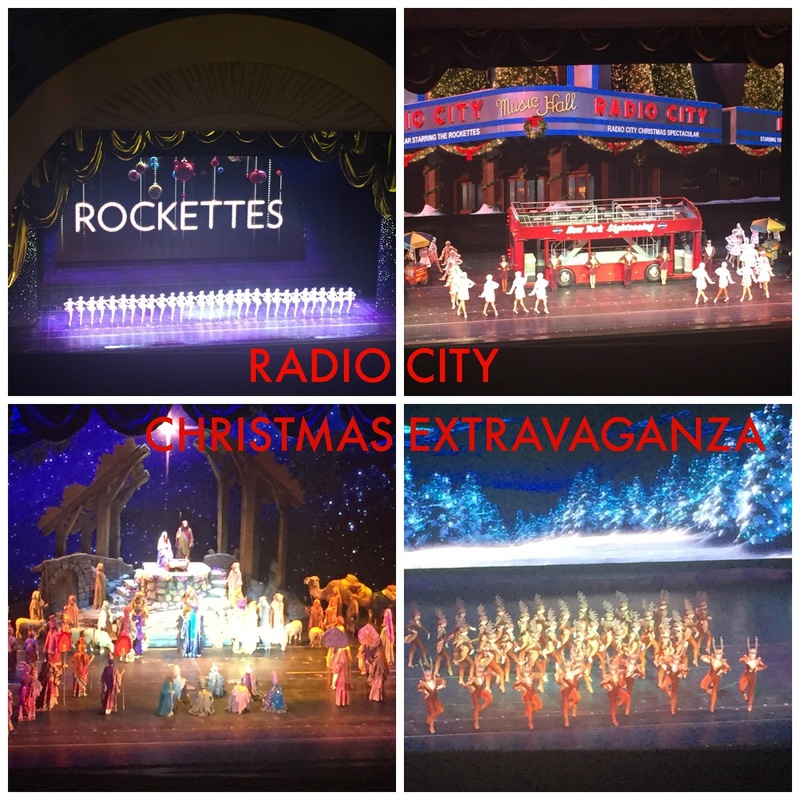 One of the standout highlights of the trip was the Radio City Christmas Extravaganza featuring the Rockettes - this was on the bucket list and it completely lived up to my ridiculously high expectations and more. For real PG, wholesome, Christmassy, leg kickin' fun, you have to make your way to the Radio City Music Hall. 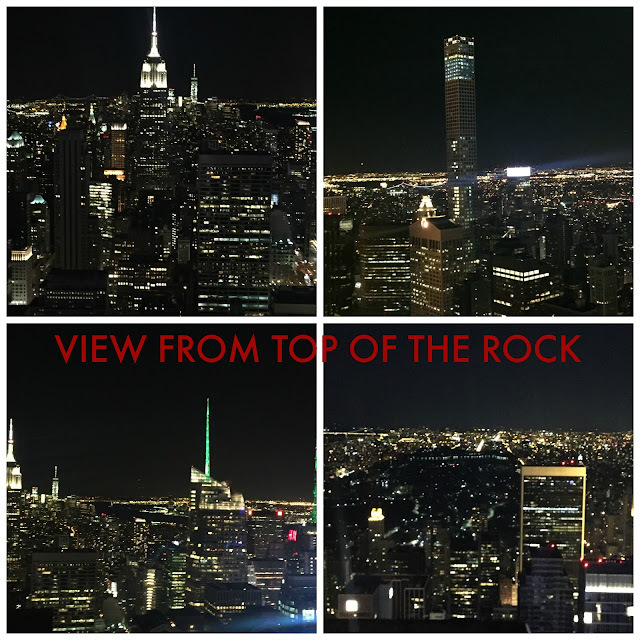 We also took the opportunity to go up to the Top of the Rock to catch a glimpse of the NY skyline at nighttime. I've been to New York five times before but nothing comes near feeling like a grain of sand in the bright lights of the city. I personally prefer the nighttime view from the Top of the Rock as opposed to the Empire State Building as you actually get to see the Empire State Building in the skyline. 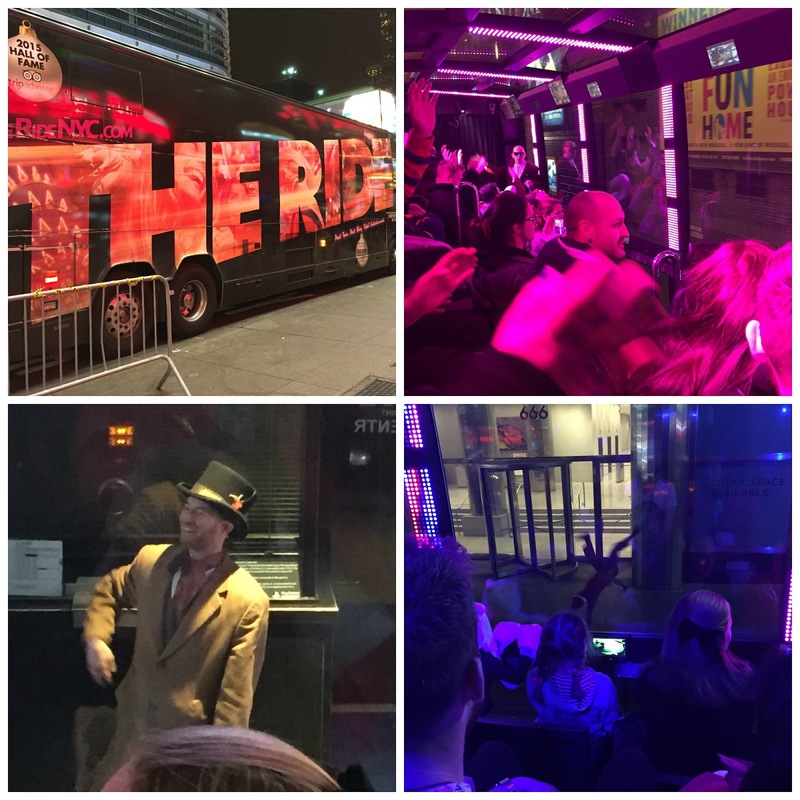 One of the more random aspects of the trip was our tour on "The Ride" - which i can only describe as the most demented bus trip ever. It was like a mashup of the TV game show 'The Cube' coupled with the Vengabus. We thought it was going to just be a bus journey around the main sights but it turned out to be an all singing, all dancing, headbanging and even breakdancing extravaganza. It is $74 a pop or entry is free with the New York Pass but for something completely different and a bit off the wall, you should definitely consider this if you're planning a trip to the Big Apple any time soon. 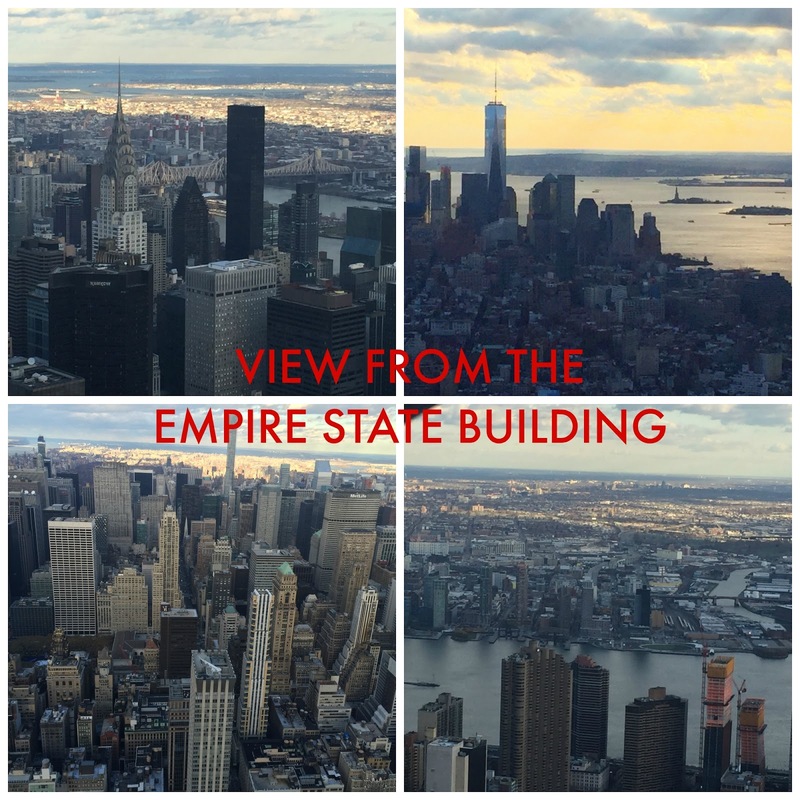 We also took the opportunity to get in the Empire State of Mind by ascending the Empire State Building to admire NYC in the daytime. Again, the weather was amazing, perfectly clear, so we could see for miles. Himself was also delighted to catch a glimpse of the Statue of Liberty as we didn't trek out to Liberty Island on this trip. Both himself and myself had a keen interest to go to the 9/11 memorial and Ground Zero. The last couple of times I was in New York, Ground Zero was still a building site, so I was really keen to see how they changed to space to be both a place of remembrance and a functioning financial business district. 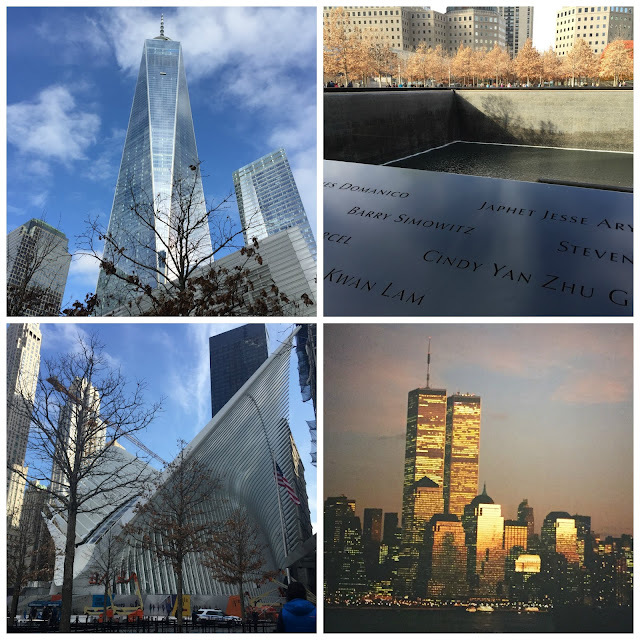 The actual site itself was incredible to see- two giant waterfall fountains in the footprints of the Twin Towers- it was tasteful, peaceful and easy to reflect on what had happened. 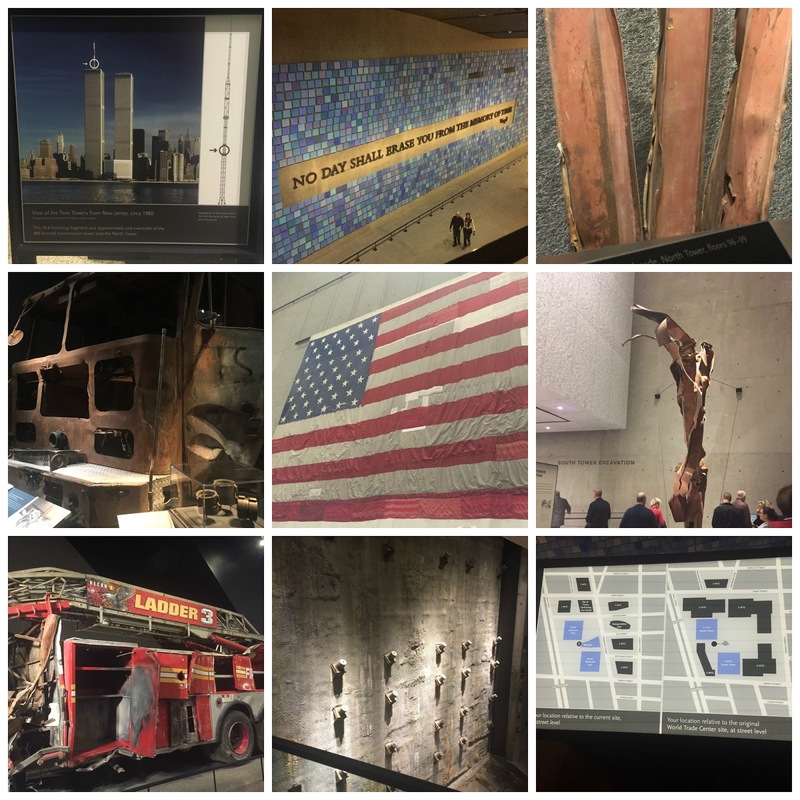 I was also very skeptical about the 9/11 memorial as I was fearful that it would be tacky or commercialising what was undoubtedly one of the most violent acts against humanity in recent times. It was a harrowing experience as there were remains from the towers, voice recordings and videos from both within the Twin Towers, the Pentagon and the planes, transcripts from the black boxes on the planes and so on. It was definitely tough to bear but I will never forget it. 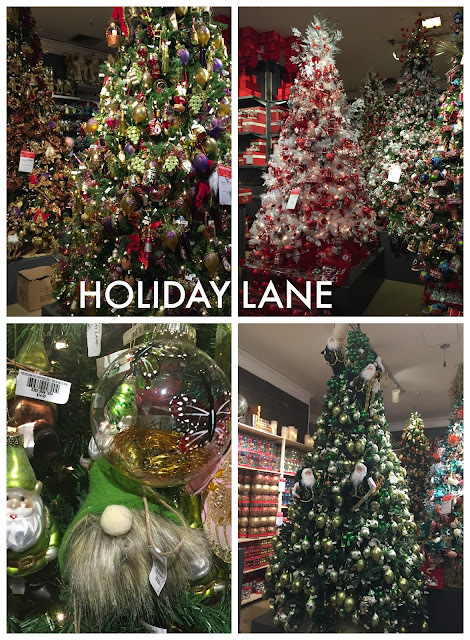 And finally, on a slightly more cheerful note, we also visited Holiday Lane a.k.a. the ninth floor of Macys where we were greeted with every kind of Christmas decoration possible to man! There was even an Ireland themed Christmas tree, can you believe? I picked up a handful of decorations for our own tree when I was there and I was genuinely bowled over by the selection. So you would be forgiven for thinking that I did no shopping when I was in the US but in actual fact, I did quite a bit, and over the next week, I am going to post not one but five haul posts because one post would be ridiculously long. Between the easy access to the mothership that is Sephora as well as being in walking distance of a handful of different drugstores, along with the pretty persuasive Black Friday deals, meant that we can home with twice as many suitcases as what we brought over with us. I hope that if you are in any way thinking about an NY thanksgiving that this post will be the cherry on the cake and encourage you to book. 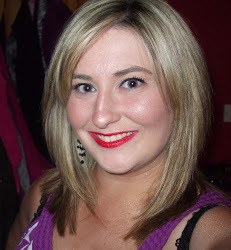 I'm very grateful to Karen from Lovely Girlie Bits for urging me to find my cherry and book it. We will most definitely go back. Wow, it all looks amazing! Will have to go back to New York at Thanksgiving!